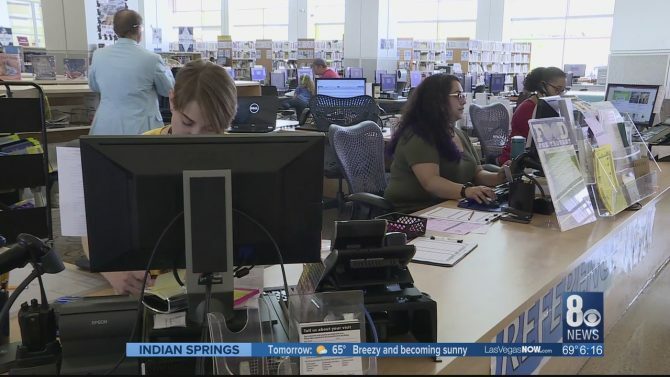 LAS VEGAS - We're more than halfway through National Library Week: The annual celebration highlights the role libraries along with its staff have in our communities. Librarians’ job continues to evolve in the digital age. "It's not just storytimes anymore. It's meaningful connections," said Joanna Goodard, a librarian at the Windmill Library. Goodard has worked in the Las Vegas Clark County Library District for 15 years and became a librarian nearly 4-years-ago. Cristen Drummond, Reporter: "What's the reaction you get when you tell people you're a librarian?" Goodard: "Most people are surprised to know that it requires a Masters. I do think there is a stereotype. I'm happy to break it." "The librarian's role continues to evolve. It's no longer just knowing where books go and helping patrons check out materials." Read more from KLAS 8 News Now.